The objective of the present study is to characterize the mechanical behavior of laminated metal composites (LMCs) that consist of commercially pure titanium and 1100 aluminum layers which were ultrasonically consolidated. Ultrasonic consolidation is a low temperature process used to fabricate layered solid metal structures. Tensile tests of Ti-Al laminated composites (in 3, 5, and 7 bilayer configurations) were performed at four various temperatures (25 ºC, 100 ºC, 200 ºC, and 300 ºC) using strain rate of 0.017 /s. The effect of temperature, sonotrode travel direction, and number of layers on the material behavior were discussed on the basis of uniaxial tensile test results. The ultimate tensile strength and yield strength is found to decrease with increasing temperature. In general, high strain values were obtained in Y samples compared to X samples. The maximum strain value was 0.42 at 300 °C temperature in the 5 bilayer Y sample. 1. Mangalgiri, P.D., Composite materials for aerospace applications, Bulletin of Materials Science, 1999, 22(3), 657-664. 2. Lesuer, D.R., Syn, C.K., Sherby, O.D., Wadsworth, J., Lewandowski, J.J., Hunt, W.H., Mechanical behaviour of laminated metal composites, International Materials Reviews, 1996, 41(5), 169-197. 3. Sherby, O.D., Lee, S., Koch, R., Sumi, T., Wolfenstine, J., Multilayered composites based on ultrahigh carbon steel and brass, Materials and Manufacturing Processes, 1990, 5(3), 363-376. 4. Daniels, H., Ultrasonic welding, Ultrasonics, 1965, 3(4), 190-196. 5. Obielodan, J., Ceylan, A., Murr, L.E., Stucker, B.E., Multi-material bonding in ultrasonic consolidation, Rapid prototyping journal, 2010, 16(3), 180-188. 6. Kong, C., Soar, R., Dickens, P., Characterisation of aluminium alloy 6061 for the ultrasonic consolidation process, Materials Science and Engineering: A, 2003, 363(1-2), 99-106. 7. White, D.R., Ultrasonic Consolidation of Aluminum Tooling, Advanced materials & processes, 2003, 161(1), 64-65. 8. Yang, Y., Stucker, B.E., Janaki Ram, G.D., Mechanical Properties and Microstructures of SiC Fiber-reinforced Metal Matrix Composites Made Using Ultrasonic Consolidation, Journal of Composite Materials, 2010, 44(26), 3179-3194. 9. Zhang, C.S., Li, L., A coupled thermal-mechanical analysis of ultrasonic bonding mechanism, Metallurgical and Materials Transactions B, 2009, 40(2), 196-207. 10. Wolcott, P.J., Sridharan, N., Babu, S.S., Miriyev, A., Frage, N., Dapino, M.J., Characterisation of Al–Ti dissimilar material joints fabricated using ultrasonic additive manufacturing, Science and Technology of Welding and Joining, 2016, 21(2), 114-123. 11. Hopkins, C.D., Dapino, M.J., Fernandez, S.A., Statistical Characterization of Ultrasonic Additive Manufacturing Ti/Al Composites, Journal of Engineering Materials and Technology, 2010, 132(4), 041006-041006-9. 12. Sridharan, N., Wolcott, P., Dapino, M., Babu, S.S., Microstructure and texture evolution in aluminum and commercially pure titanium dissimilar welds fabricated using ultrasonic additive manufacturing, Scripta Materialia, 2016, 117, 1-5. 13. Obielodan, J.O., Janaki Ram, G.D., Stucker, B.E., Taggart, D.G., Minimizing Defects Between Adjacent Foils in Ultrasonically Consolidated Parts, Journal of Engineering Materials and Technology, 2009, 132(1), 011006-011006-8. 14. Kong, C., Soar, R., Fabrication of metal–matrix composites and adaptive composites using ultrasonic consolidation process, Materials Science and Engineering: A, 2005, 412(1-2), 12-18. 15. Kong, C., Soar, R., Dickens, P., Ultrasonic consolidation for embedding SMA fibres within aluminium matrices, Composite Structures, 2004, 66(1-4), 421-427. 16. Du, Y., Fan, G., Yu, T., Hansen, N., Geng, L.,Huang, X., Laminated Ti-Al composites: Processing, structure and strength, Materials Science and Engineering: A, 2016, 673, 572-580. 17. Lu, Z., Wei, N., Li, P., Guo, C., Jiang, F., Microstructure and mechanical properties of intermetallic Al3Ti alloy with residual aluminum, Materials & Design, 2016, 110, 466-474. 18. Army Research Laboratory, Microstructural and mechanical behavior characterization of ultrasonically consolidated titanium-aluminum laminates. http://www.dtic.mil/dtic/tr/fulltext/u2/a499565.pdf, 2009 (accessed 03.10.2018). 19. 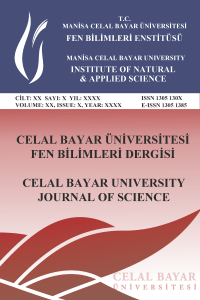 Kaya, İ., Cora, Ö.N., Acar, D., Koç, M., On the Formability of Ultrasonic Additive Manufactured Al-Ti Laminated Composites, Metallurgical and Materials Transactions A, 2018, 1-14.